Rated 5 out of 5 by denniann2 from great game in the series you are back in Oz thanks to another tornado. to get home you have silver shoes and have to get 3 statues that you have to find and give to the Great Oz. you have to help others along the way to get the statues. Rated 5 out of 5 by lizewolmarans from The whole package!!! I absolutely LOVED and adored this game. It is creative, in-depth and engrossing. If you are looking for value for money - Bridge to Another World delivers. It is probably some of the longest games out there. That to me is a big plus as some other games are over in like 2-3 hours. I have played their other games: "Alice in Wonderland" and "The Others", which are both just as amazing. Can't wait to play the 4th one available. Buy this one - you won't be disappointed. Rated 5 out of 5 by coppertopper34 from Your not in kansas anymore I have played a lot of Hog games but this one is incredible .The graphics are superb .The story moves along quickly .It is just a addicting Awesome adventure and I would recommend this game to anyone looking for a adventure. 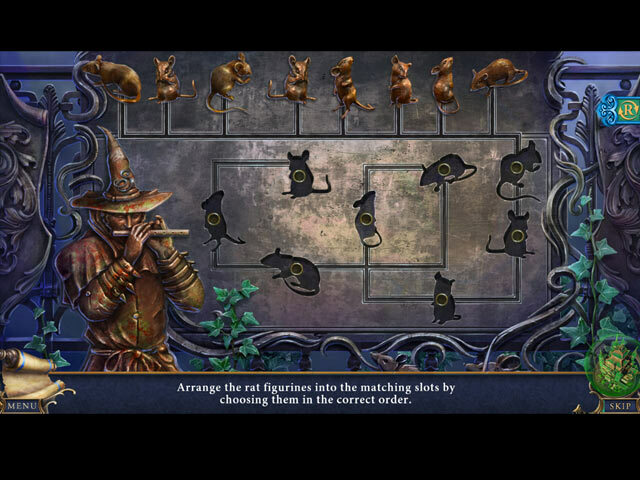 Rated 5 out of 5 by CourageAngel from Toto Steals the Show In this game, you play as Dorothy. In the beginning, you say goodbye to your son and daughter as they head off to go to school. The radio plays a weather report and states that it will be a sunny day. A few hours later, we get a tornado. And soon after you, and Toto, are transported to another world. Can you get home, or will you be stuck here? Bonus points if you can recognize another game where the voice actor for "Frank" was in. They did an amazing job on this game. The visuals and sound were fantastic. I adored the designs of the locations and the characters. The challenge level was just right/not too difficult. The story was an interesting twist on the Wizard of Oz, and I enjoyed every moment of it. Having Toto as a part of the game was a nice touch, even if he is a part of the Wizard of Oz story. I enjoyed every moment he popped up or acted as our helper in getting items we couldn't reach. The stories for the various locations/people there were interesting to learn. The culprit, I thought, wasn't immediately obvious. But as the game progressed, I started thinking about it and one character became the suspect I focused on. I was happy that I was right about this. So, we got to use walkie talkies that Dorothy bought for her kids in the game, and they disappear shortly before the end of the game. Those things were "fancy", and I thought, "I hope they got them! It would be sad if they were lost!" This is a great game. I had a lot of fun playing it. I will definitely play it again. 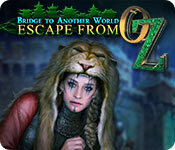 If you are a fan of the Wizard of Oz or not, I think you will enjoy this game. 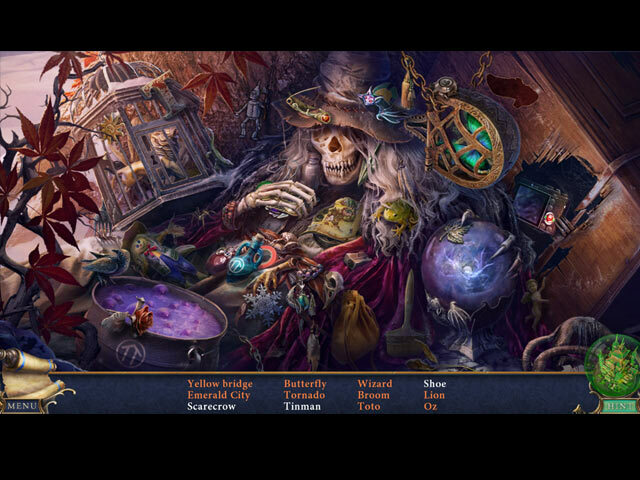 Rated 5 out of 5 by dollfaye from What Hidden Object games are supposed to be like! 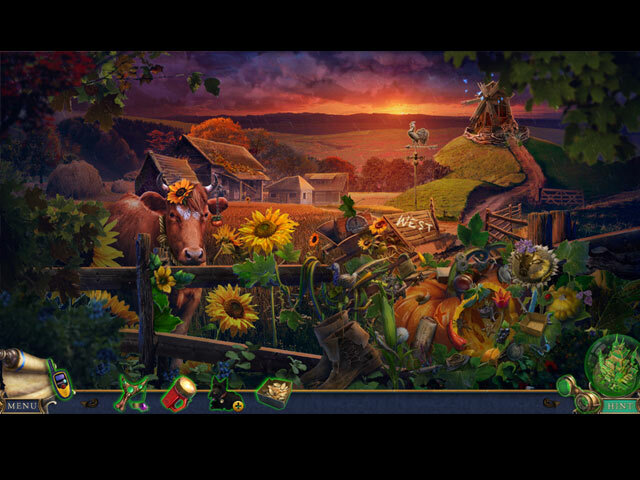 It's been years since I've actually enjoyed a hidden object game on here the way I have this one. The storyline was good and displayed a refreshing turn on the original story. The hos and the puzzles were just hard enough to challenge me. The back and forth never got ridiculous as in recent games and never got to the point of confusion. There were a few times when I had to squint to see into the dark recesses of some scenes but I'm an older player. I hope developers take note of the high rank we've given this game and keep up the good work. Rated 5 out of 5 by mycuppatea from Love this game Another great one! Puzzles are all different and fun. Been a member and player for years and first time I've reviewed a game, this is so good. Rated 5 out of 5 by worlockslady1 from Great Game! I am ready to replay it now. Great story line, a big twist on an old favorite. The puzzles are out of this world - no pun intended. Looks and sounds great. This is now 1 of my all time favorite. Don't miss out on this 1. Rated 5 out of 5 by Krob333 from Very well done and entertaining. I felt like this game was very well done with just the right amount of storyline videos and actual game play. The graphics were great and I enjoyed the characters alot. Also it isn't so predictable as some other HOG. The storyline was pretty cool. It took me a little bit to catch onto the N,S,E,W wizard protector dude's disappearances but it was pretty enjoyable to me. I did not feel like there were any loose ends left when the game was finished. Sound was fine although I usually don't have music playing or voice overs very loud when I play. I would give the makers credit for producing 4 different experiences that differed enough from each other but stayed right along with the storyline. The minigames were not too hard. The one thing that would have made it even more enjoyable for MY taste would be to add several more hidden object scenes. I love them and can't get enough of them. I prefer them over minigames and the actual hunting around the scenes for objects to help me move on. But it was very well done!! Rated 5 out of 5 by andibeard from Clever, beautiful, and engaging I expected this game to be a more direct retelling of the Oz story--or a sequel with a character related to the original Dorothy, etc. But this story is a clever, fantastical re-imagining of the tale of Dorothy's trip into another world. It incorporates elements from the original book more than the movie--i.e., silver slippers, the wizards from the four quadrants--and weaves them into a beautifully-designed world. The three companions from the story are even there, though in much different form! I loved the gorgeous visuals, uses of tools like the goggles and Toto, and the balance of HO scenes to puzzles was just right (more puzzles, fewer HO's). My only complaint was a slight cliche in the storyline as we get closer to the end, and that some of the puzzles/HO scenes were not particularly challenging. Overall, a visual delight and fun game to play.